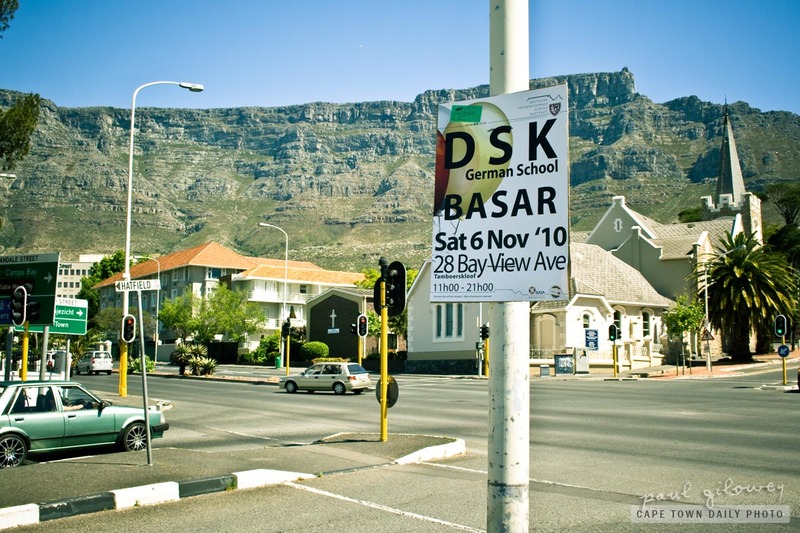 We missed this event at the DSK german school in Cape Town this past Saturday. Based on their Facebook event page it sounds like we missed out on a lot of fun, food and something called a "FUFFY SLIDE". I call the event a "basar" because that's what the poster says, but based on the description of the event it sounds like we missed out on a good old Oktoberfest, albeit an Oktoberfest in November. Did you end up at the DSK Basar? What did you think? Posted in Events and tagged festival, poster, sign, table mountain on Monday, 8 November, 2010 by Paul.